MICHAEL MOORE-ON SAYS REPUBLICANS HATE BLACKS AND DETROIT……. – The Tundra Tabloids……. 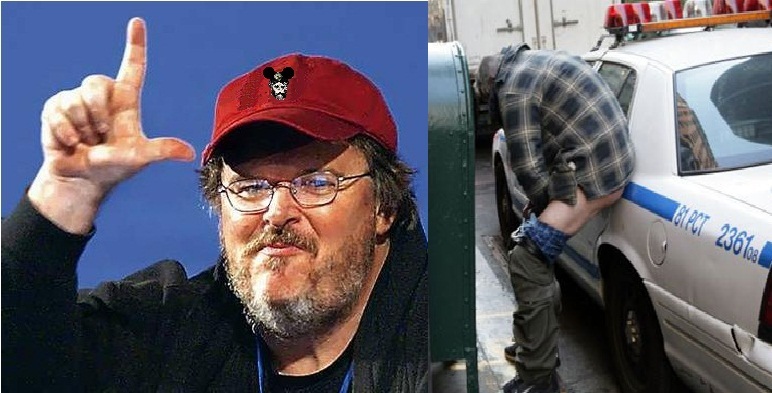 MICHAEL MOORE-ON SAYS REPUBLICANS HATE BLACKS AND DETROIT……. Always keeping it classy, huh Mikey? This huge tub of lard and the MSNBC network he’s bloviating on, are the lowest of the low. For the MSNBC network (MSLSD according to Mark Levin) to allow such a hate/race baiter on the airwaves is gross negligence, but that’s what they do. Truth be told, Moore is an opportunist who uses any means and situation to demonize the other in order to showcase himself, to keep himself relevant, just like many of the socialist democrats do. These are the sick & slick snake oil salesmen of our day. Previous Post Previous Post BBC DOCUMENTARY ON RADICAL ISLAM IN LUTON……. Next Post Next Post CHRISTIAN AND JEWISH GROUPS ASK GERMANY TO CANCEL AWARD TO ANTI-ISRAEL ARAB PASTOR……. We are getting quite sick of the leftist America hater Mr. Manure and his verbal diarrhea. Libralism killed Detroit and the black family.